We all seem besotted these days with the ongoing “what is country music” question. We have the Sam Hunts and Thomas Rhetts pushing the boundaries. 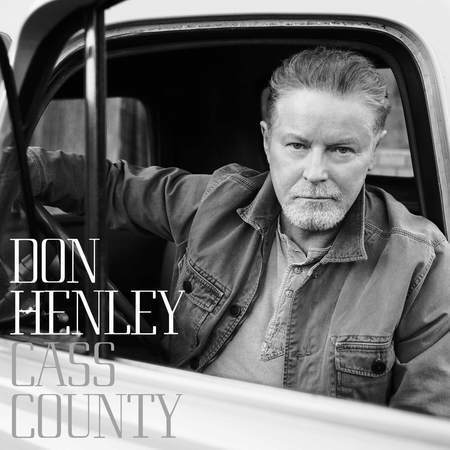 Then we have the more traditional artists such as Don Henley, who has just released his first solo album in 15 years. Don was born in Gilmer, Texas. Cass Country is named after the area that he spent his early years. This album is a return to his roots. He features pedal steel guitar on 14 out of 16 tracks on the album and surrounds himself with arguably the finest female vocal talents in country music. He is joined by Ashley Monroe, Trisha Yearwood, Lucinda Williams, Lee Ann Womack, Alison Krauss, two members of the Dixie Chicks, Dolly Parton, Martina McBride and Miranda Lambert. Lets also add Mick Jagger…yes Mick Jagger, Vince Gill and Merle Haggard. This is a country album and a very good country album. I predict that this will be an album that you will return to in the years to come and consider a classic. Will the Country radio stations play it? Probably not, judging by the indifference shown to the first single release “Take a picture of this”. We start with a cover. Tift Merritt’s “Bramble Rose”. Featuring Miranda Lambert and Mick Jagger. I suspect we won’t see that trio on any stage soon! Mick’s contribution is short but leaves one wondering whether he would be tempted to revisit his country roots. There are 4 covers on the album. Dolly Parton joins for the Louvin Brothers penned hit “When I’m Dreaming”, and judging by the video and Don’s recent interview it was a highlight of the project that has been 4 years in the making. Dolly admitted that she had to stretch herself vocally to sing the key that Henley demanded but it works and is a stand out in a very fine album. Eagles fans who will buy this album will find comfort in “Waiting Tables”. I was almost expecting Glenn Frey to sing the second verse. A very “New kid in town/Hotel California” feel and is a stand out. Similarly, “Words can break your heart” wouldn’t be out of place on the “Long road out of Eden” album that The Eagles released in 2007. Was it really that long ago? Henley is taking the show on the road in the states during October/November 2015. This album will be heavily featured and it demands to be heard live. Would it be too much to ask for a UK tour? This is an album that will feature in my top 5 year end. Non-country fans will enjoy it. Country fans will love it. Give “Train in the distance” five minutes of your time. You’ll be humming it on the tube!